“Apart from the deep and intensely smooth blend of scotch and premium Indian grains in Royal Challenge whisky, American charred oak casks are used for ageing, during which it gains color and flavor from the caramelised sugars in the charred wood and infuses the whiskey with a unique taste”, Rajesh Prakash, Sales and Marketing Manager of Nepal Liquors describes the whisky. 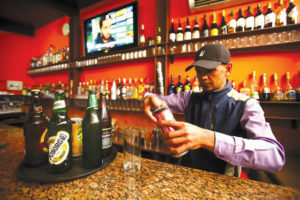 Nepal Liquors has various leading brands under its umbrella. Some of which are Antiquity Blue Whisky, Signature Premier Whisky, Signature Rare Whisky, McDowell’s No1 Whisky, McDowell’s No1 Celebration Rum, and Blue Riband Gin.